Consider a career in which you can help people live healthier lives. Please arrive between 7:45-8 a.m. to allow for time to sign-in and get to the first station of the day. The tentative schedule for the day is from 8:15 a.m.-4 p.m. In our flyers and our website, we have it listed as ending time at 5 p.m. We left an hour "buffer" time in case we ran over any of the stations throughout the day. Please arrive between 4-5 p.m. to pick-up your child. The drop-off and pick-up information is on this map. A schedule of events can be viewed here. Please make sure to click on the "submit" button at the bottom of both online forms once completed. Two of the labs that we will be touring have dress requirements. The requirements state participants entering either of these labs must wear close-toed shoes (no sandals) and long pants. Any of our participants that are not wearing long pants and close-toed shoes will not be allowed in these two labs. Participants that are not appropriately dressed will have to sit out those sessions during the demonstrations. Students that would like to wear open-toed shoes and shorts can do so but must bring a pair of close-toed shoes they can put on and pants (sweatpants) that they can slip over their shorts for these two labs. Students may want to bring a draw string bag or backpack to store the shoes and pants in for the stations that do not require them. The Exploration Day is intended for parents to drop off their son/daughter for the day and then pick them back up at the end of the day. We have a designated area for drop-off/pick-up. Please see the attached map. The drop-off and pick-up area is the same area on bluff street behind Mellon Hall of Science and Bayer Learning Center. Parents who choose to stay for the day will need to park in the Forbes Avenue Garage. Daily Parking Rates will apply. Students will use Kahoot! to enter the answers to basic pharmacy math problems. Students should either download the app or bookmark the website. Students will be given the game PIN at the start of the game. 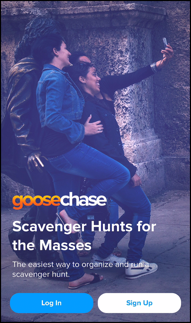 Students will use the app GooseChase during the Scavenger Hunt. 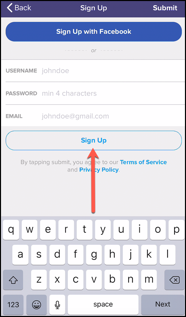 Students should download the app and create a UserName and Password. Students will search for Duquesne University Pharmacy Exploration Day at the schedule time. If you have any other questions regarding Pharmacy Exploration Day, please feel free to contact me. I look forward to an educational and FUN day!